Contributed by Bill Bryant, son of CPL George C. Bryant, 347-K. Along the Rhine River, prior to crossing. 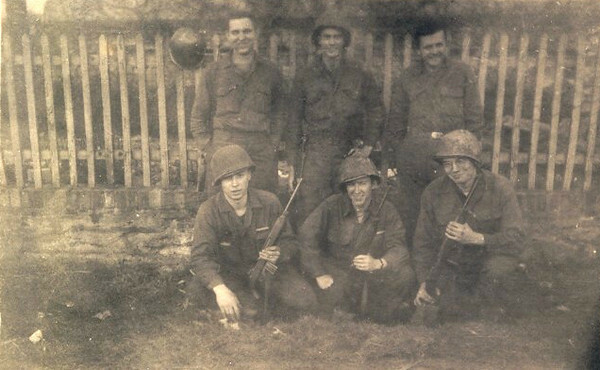 George Bryant, who is on the top right in this photo, indicated that it was dangerous to go behind this house, due to German snipers.